Fortune smiles on The Orlando Consort yet again. Though fickle, Lady Fortune seemed to have smiled often on Guillaume de Machaut. Best known today for his groundbreaking Messe de Nostre Dame, the medieval French poet and composer was revered in his own time for his poetry as much as his music. 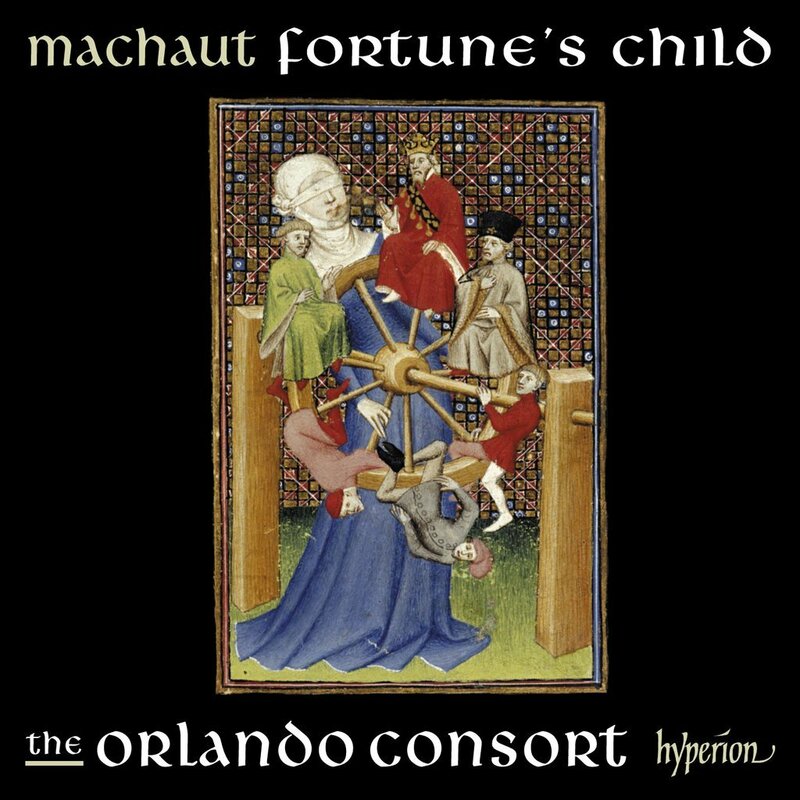 Lady Fortune also seems to continue to smile on The Orlando Consort (comprising countertenor Matthew Venner, tenors Mark Dobell and Angus Smith and baritone Donald Greig) with this fifth volume in the UK vocal ensemble’s complete survey of Machaut’s songs every bit as ravishing and revelatory as the previous four. As Tamsyn Mahoney-Steel writes in her booklet note for Fortune’s Child, “Nowhere, for Machaut, were Fortune’s machinations more keenly felt than in the realm of love, and the songs here represent the highs and lows, the spiritual and physical pain, and the lover’s wavering belief in his ability to endure them.” Thus one finds here the joyful ballade Gais et jolis, the mournful motet Hé! Mors!/Fine Amour/Quare non sum mortuus, the sweet Dame, vostre dous viaire, the tortured rondeau Comment puet on miex ses maus dire and many more exaltations, resignations and equivocations. Again, all are sung – either by one, two or three voices – with The Orlando Consort’s impeccable diction, purity of tone and deep psychological insight. We are fortunate to have such advocates for this brilliant music. The cult of courtly love revisited in exquisite performances. ★★★★☆ Richard Gill opens medieval windows on the sacred and profane.